SHELF W/DRAWER08279DIMENSION: 19"? x 15? "x 64? "HFEATURE: espresso finishPa..
BOOK SHELF CABINET10163DIMENSION: 24'' x 14'' x 78''HFEATURE: rustic oak fi..
BOOK SHELF CABINET12102DIMENSION: 32? "x 12? "x 71"?HFEATURE: espresso finis..
15-Shelf Bookcase Cappuccino 881074Make a statement with this clean cappucc..
15-Shelf Wood Bookcase Cappuccino 881075Great for classic and modern motifs.. Finish Color BLACK OAKDescription	Width	Depth	HeightBOOKCASE	31.50	11.75	67..
Model Number: 800300Dimensions:Width: 35.5 x Depth: 15.5 .. Finish Color ANTIQUE NUTMEGMetal Finish GUNMETALDescription	Width	Depth	Hei..
Model Number: 801169Dimensions:Width: 50 x Depth: 15.25 x..
Model Number: 801170Dimensions:Width: 50 x Depth: 15.25 x..
Part of the 8014 Collection by Scott LivingModel Number: 801440Di..
Part of the 8014 Collection by Scott LivingModel Number: 801439Di.. Finish Color DRIFTWOODMetal Finish BRONZEDescription	Width	Depth	HeightBOOK..
Wood Finish METALLIC CHAMPAGNEDescription	Width	Depth	HeightBOOKCASE	35.75	..
Wood Finish METALLIC CHAMPAGNEDescription	Width	Depth	HeightBOOKCASE	52.50	.. Finish ColorRUSTIC AMBERMetal FinishBLACKDescription	Width	Depth	HeightBOOK.. Finish ColorWEATHREAD OAKWood FinishRUSTIC COFFEEDescription	&n.. Finish ColorWEATHERED OAKMetal FinishBLACKDescription	Width	Depth	HeightBOO.. Finish ColorWEATHERED PINEMetal FinishDARK BRONZEDescription	Width	Depth	He..
Wood FinishTOBACCOMetal FinishWEATHERED GUNMETALDescription	Width	Depth	Hei.. Finish Color BLACKDescription	Width	Depth	HeightBOOKCASE	31.00	11.50	66.75.. 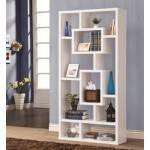 Finish Color WHITEDescription	Width	Depth	HeightBOOKCASE	31.00	11.50	66.75.. Finish Color GREYDescription	Width	Depth	HeightBOOKCASE	31.00	11.50	66.75.. Finish Color CAPPUCCINODescription	Width	Depth	HeightBOOKCASE	31.00	11.50	6..
Wood Finish BROWNMetal Finish BLACKDescription	Width	Depth	HeightBOOKCASE	3..
Wood FinishDARK WALNUTDescription	Width	Depth	HeightBOOKCASE	47.25	14.25	70..
Wood Finish WEATHERED GREYDescription	Width	Depth	HeightBOOKCASE	31.25	13.5..
Wood FinishWEATHERED GREYDescription	Width	Depth	HeightBOOKCASE	47.25	13.50..
BOOKCASE92067DIMENSION: 10" x 6" x 42"HFEATURE: Espresso finishPackage: PKG..
BOOKCASE92068DIMENSION: 14" x 14" x 59"HFEATURE: Espresso finishPackage: PK..
BOOKCASE92089DIMENSION: 35"x11"x71"HFEATURE: Cappuccino FinishPackage: PKG:.. Item Description Accent that empty corner in your living or en.. Item Description Decorate that ugly, empty corner with this ch.. Item DescriptionThe plant stand is the perfect ornamental or plant display .. Item DescriptionWhether placed in an entryway, kitchen, or seasonal porch, ..
ACTAKI BOOKCASE 92433Item Number : 92433Feature : ACTAKI BOOKCASE..
ACTAKI BOOKCASE 92436Item Number : 92436Feature : ACTAKI BOOKCASE..
Model Number: 801553Dimensions:Width: 24.5 x Depth: 18 x ..
Model Number: 801543Dimensions:Width: 60 x Depth: 14.25 x.. Item DescriptionIndustrial in style, this bookcase can be added to many roo..
BLANRIO BOOKSHELF 92465Item Number : 92465Feature : BLANRIO BOOKS..